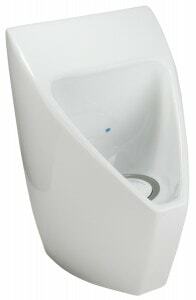 Find all of the china toilets, urinals, and sinks you need for your facility at on Equiparts.net. Equiparts is a distributor of china sinks, toilets & urinals + parts & accessories from manufacturers like American Standard, Sloan Valve Company & others. Equiparts is a supplier of china commercial bathroom fixtures – including sinks, toilets, and urinals. We also stock a plethora of parts and accessories like commercial faucets, handles, levers, and drains. Our inventory of china sinks, china toilets, and china urinals features models from manufacturers like American Standard & Sloan. From wall-mounted bathroom sinks and lavatory sinks to floor mounted, tank, and wall-mounted toilets and urinals, Equiparts has stylish high-performance models for any commercial setting.